Unlimited access to CrossFit classes. 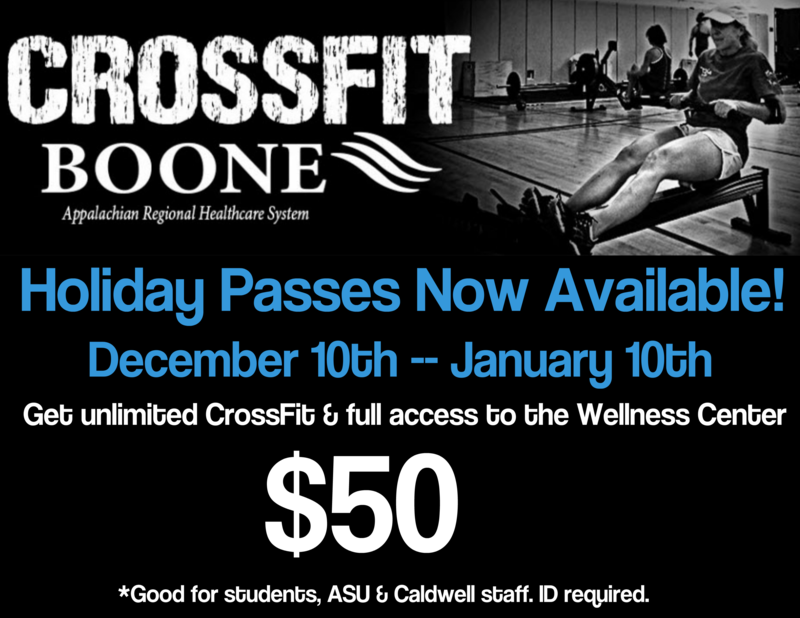 Access to CrossFit’s open gym time. Access to a fully equipped weight room and wide variety of cardiovascular equipment. Access to indoor cycling classes, yoga classes, and other group exercise classes. Access to our indoor pool. Access to locker rooms, showers and towels. The pass is good from December 10 to January 10th. You must present a valid college ID at the time of purchase. Contact Katie Greene for more information.